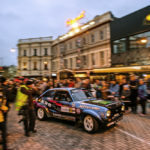 Well known former rally champion Ross Meekings will help anchor the MoMac live-stream coverage of Rally Otago this weekend, with a potential audience of over 130,000. 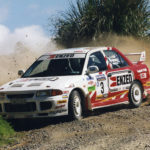 Meekings, who won both the Group N title and the Tasman Cup in 1998 driving a Mitsubishi Lancer Evo 3, became a popular rally figure a decade earlier when he put up giant-killing performances.. 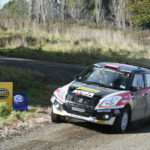 The most open and competitive Brian Green Property Group New Zealand Rally Championship in recent history begins on the super-fast roads in Otago this weekend with any one of about 10 drivers staking a claim to become national champion this season. Subaru driver Ben Hunt finished runner-up to former WRC star Hayden Paddon last season and will start 2019 as..
Liam Lawson was second fastest in the morning of official testing for the new FIA F3 cars at Barcelona and then finished 7th after twice leading in a wet but quickly drying afternoon session. 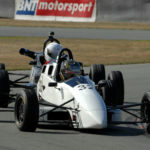 Lawson (MP Motorsport) set the benchmark with 30-minutes to go in the opening session, quickest on 1:33.188 before Leonardo Pulcini (Hitech Grand Prix) went faster and..
New Zealand racing driver Brendon Leitch enjoyed a solid debut in Asia over the weekend, despite undertaking a busy programme racing in both a Lamborghini Huracán and an F3 single seater. 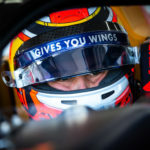 Leitch's incredible weekend at the Sepang circuit in Malaysia saw him compete in both the Formula 3 Asian Championship and in the 2019 Lamborghini Super Trofeo Asia, where the..
Andy Gillies and co-driver Nathan Pilcher have announced they will undertake a full New Zealand Rally Championship campaign in an iconic rally car not seen on New Zealand stages for almost a decade. 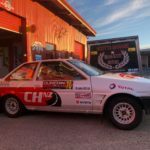 The pair - who made just two appearances together in 2018 - have acquired the ex-Chris Paddon Toyota AE85 Levin and with the help of Commercial Hire..
Rally Otago stages go live! 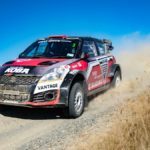 Selected stages of next weekend's Rally Otago will be live-streamed from a multi-camera feed beamed across the internet to New Zealand and around the world. 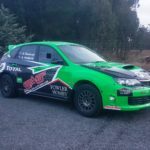 The production from MoMac Socialising Media follows on from their successful coverage of last year's Ashley Forest Rallysprint, which saw over 60,000 views and up to 700 people tuning in live. The live broadcasts will..
Next weekend Dunedin rally driver Emma Gilmour will start the 2019 Brian Green Property Group New Zealand Rally Championship (NZRC) at the Drivesouth Rally of Otago with a fully-refurbished Vantage Windows and Doors Suzuki Swift AP4. With Suzuki New Zealand’s support, the six-season old rally car nicknamed MMMMMs, has had an extreme make-over – being stripped to a bare shell..